You are at:Home»Art & Music»Spring Events for Art Lovers : Call for Submissions! There are extraordinary places offering the most amazing workshops, classes, events, and exhibits right at our fingertips! Here is a list of Everything Art in the state of New York, with a focus on NYC, Long Island, and Hudson Valley. These are the places that fill the voids left in our schools and workplaces; they are spots to relax and release, to brainstorm and resolve, to exist and simply be without pressures to do. The Heckscher Museum of Art in Long Island has incredible events and exhibits coming up this year. Check out their family activities and diverse exhibitions. If you are an artist living in Nassau or Suffolk Counties, be sure to check out their Call for Submissions! 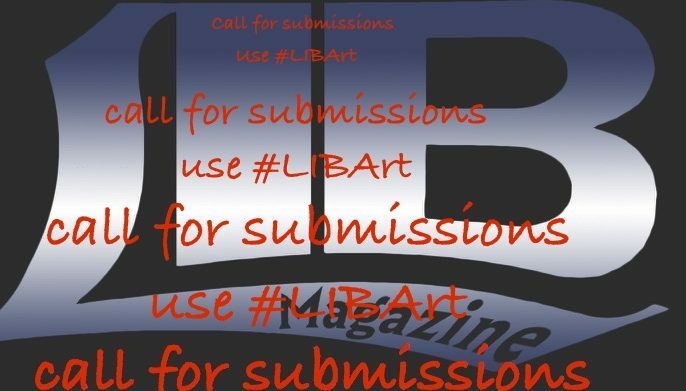 Don’t hesitate – submit your art!! The acceptance or rejection is irrelevant, you are responsible for yourself, so do the work, kill the fear, and submit your artwork! To every gallery, everywhere! When I did a simple search using keywords: Long Island Arts Council, I discovered an endless list of incredible activities for you to enjoy on your own or with friends and family! Here are a few links for your perusal – Get involved! The arts needs you and you need the arts! The Long Island Arts Council at Freeport, Long Island Arts Alliance, Islip Arts Council, Art League of Long Island, and Huntington Arts Council are just a few for us to familiarize ourselves with (especially on these snow daze!). The Blue Door Art Center – The BDAC and Office of the Yonkers City Council came together to celebrate Women by Women Art Exhibition for Women’s History Month. Reception & Art Exhibition Tuesday, March 27th, 2018. Please RSVP to: Yeiddy.Ferreira@YonkersNY.gov or 914.377.6064. Their calendar is jam-packed with many wonderful activities and workshops for all ages, ranging from poetry writing, fashion designing, edible arts and monthly gallery hops. The Powerlab NY – The Powerlab came together with WeArtOne Art Collective to celebrate The Art of the Woman on Saturday, March 24th, 2018, from 6-9:30 PM. They also offer workshops focused on the business side of art, such as fundraising for non-profits and building your business. Do NYC recently listed some of the most fun (and free) galleries to stroll throughout the city. There’s Karma Gallery and Pioneer Works on the list and guaranteed there are plenty on the same streets you’ll discover on your own. NYU offers free admission to many of their art galleries. I once saw an Allan Ginsberg photo exhibit. I felt honored to see the contributions made as they felt very intimate and were thought provoking. It inspired me to start putting myself out there as a photographer, realizing it’s all subjective and we’re in this together. The Brooklyn Art Library hosts The Sketchbook Project. If you haven’t heard of this project yet, you’re definitely missing out on the world of collaborative arts. A quick walk from the L-train Lorimer or Graham stops will introduce you to this cozy, comfortable little spot. If you go on a Saturday (starting in the spring), there’s a farmer’s market two or three blocks away by McCarren Park. Spoiled NYC posts monthly art events regularly. Check out more exhibits celebrating women creatives in March and check back monthly for ever-changing themes.